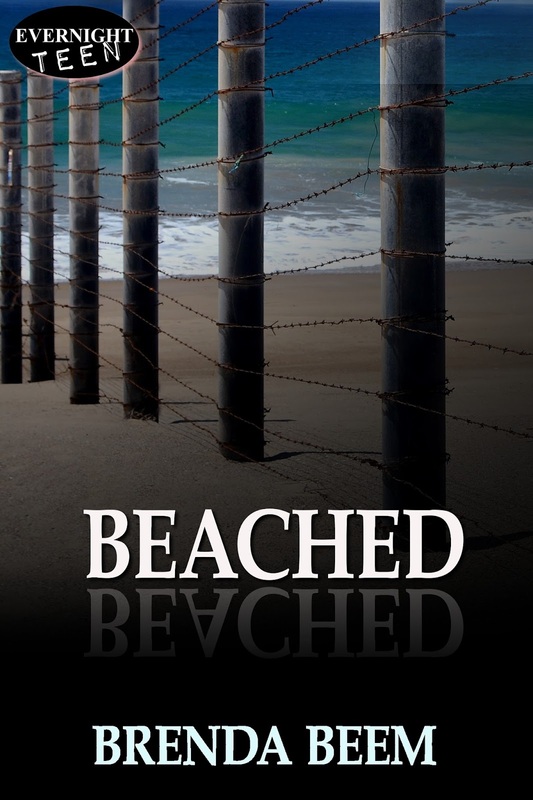 Author Interview featuring Beached (Knockdown #2) by Brenda Beem w/a rafflecopter giveaway! They may have survived a tsunami, but they’re racing ahead of an ice age as they continue the frantic search for their families. The island they’ve anchored near is anything but safe. Dangerous men lurk nearby—along with snakes, stingrays, and sharks. An island girl threatens to destroy Toni and her boyfriend’s relationship, the youngest member of the crew gets lost in a narrow dark cave, and Zoë is more annoying than ever. Will Toni and her crew survive the island and its treacherous waters? The first book in the series, KNOCKDOWN, won first place at the Houston Writers Guild. Makala struggled in Jeremy’s arms and whimpered. The young couple shook their heads and backed away. Jeremy aimed at the sand in front of the young man and pulled the trigger. I held my hands over my ears. The young man raised his hands in the air. Most of the group gathered on the beach followed his example. After a few minutes, one by one they left. Kat, her father, and six of the younger guys stayed. The young guys shifted from one foot to another. I wanted to scream. We’d saved these people from the convicts. We’d risked our lives for them. Jeremy signaled for us to start moving. “Head to the beach. I’ll follow with Makala… Anyone makes a wrong move, the girl gets a bullet.” Kat and her father started down the path. Four island guys followed after them. Two held tightly onto Nick’s arms. Angelina stayed close to Jeremy and Makala. Sophia clung to her father’s leg. I reached for Sophia. She screamed, “Mommy!” and darted off into the woods before I could grab her. “Stop her!” Jeremy yelled at me. She took off after her daughter. “Sophia, it’s Mommy. Where are you?” Her cries grew faint as she moved farther and farther away. While we hiked down the steep path, we peeked through openings in the trees and brush, and watched Whistler’s progress. I kept shaking my head. How had my plan failed so badly? When we got to the beach, I couldn’t take my eyes off Whistler. It was sailing too fast. It should have lowered its sails and needed to drop anchor. I limped faster. “Kat, they aren’t slowing down. Something’s wrong.” Kat and I began to run. The others followed close behind. No one answered. I could see people on deck, but it was so dark, I couldn’t tell who. Whistler was only a few yards off the beach. A shot rang out from the boat. The sails were still up. The hull of the boat hit the rocky shore. There was a terrible crunching sound. The bow was held fast. 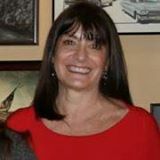 Welcome Brenda Beem! Please start off by telling us a little about yourself. I was a teacher. I am the mother of three. And I’ve always loved fantasy, sci-fi, survival, and adventure stories. Even now, as I’m driving through the rain to pick-up my double tall skinny late, I imagine how I’d save my family if an earthquake or an invasion stuck our area. Is “Beached” a single title, or part of a series? “Beached,” is book two in a series of three continuing novels about teens who survive a world changing event. These kids struggle to live in a dystopian world while traveling on a sailboat. In the first book, “Knockdown” the kids race the clock to beat the crest of a mega tsunami and an ice age. As they travel south, they fight off a motorcycle gang, they run out of water, and they battle an ice storm. Friendships become strong bonds as the crew works together to survive. In my recent book, “Beached” the crew has made it to an island off the California coast, but it isn’t the safe haven they hoped for. There are sting rays, snakes, and desperate humans on the island. Toni, the main character worries she will lose her boyfriend to an island girl. And the mainland is even worse as disease and violence impact the survivors of the world changing event. What were your inspirations for the story? I live close to giant volcanoes and have experienced a couple of earthquakes. I always know where the closest exit is. I have a plan if a disaster strikes. And since my husband and I are sailors, my safe place usually involves our boat. Please share your setting for Beached. Have you ever lived or visited there? 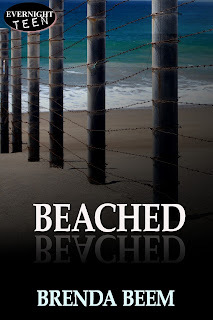 I have visited Santa Barbara, but I have not been to the island I write about in Beached. It is real, however most of it is a private refuge and I had to get my information from research. The sailboat my characters live on is my actual sailboat and I know it well. I started out in college as a news writer. In a strange way, it is very helpful when writing YA. I went on to teach, but always loved reading, and made up stories to tell my children and my classes. “Enders Game,” by Orson Scott Card, “Harry Potter,” by J.K. Rowling, and “The Hunger Games,” by Suzanne Collins are three of my favorite books and authors. Even though they are very different stories, they all take the reader to another world where young people are the saviors of the adult generation. I love this theme and use it in my novels. I would jump at a chance to talk with any or all of these authors. Do you have any hobbies or special things you like to do in your spare time? My husband and I travel around a bit, but we also sail, kayak, and hike in the Pacific N.W. I love that I can write almost anywhere we go and I do. I’ve seen many pictures of animals befriending animals of different species. A hippo and a tortoise together, a bear and a cat, a female dog nursing kittens, and many others. The pictures always make me smile and give me hope for the world. Brenda has always lived in the shadow of Mt. Rainer, a rumbling volcano, and the many waters of the Pacific Northwest. Her idea of heaven is a book in one hand and a glass of wine in the other. She now lives on Lake Washington, close to Seattle, with her husband. She loves to kayak and watch the resident eagles soar. Her sailboat, Whistler, is in a marina a short ways away. Summers are spent sailing the inland seas of Washington and Canada. Previous postHappy Release Day to Noan Raines Her Kind of Man (Spectrum #2) w/a rafflecopter giveaway! Next postHappy Release Day & Excerpt from On the Outside (Caught Inside series #3) by S. Briones Lim w/a rafflecopter giveaway! So very jealous of being able to sail around the pacific N.W.! I’m sure that gives you an immense amount of inspiration! It is lovely. So many islands to explore. Many with restaurants!!!! What inspired you to pursue a career as an author? Thanks for the giveaway. I hope that I win. I’ve always loved to write. I hadn’t seen a pre-dystopian novel where the characters survive on a sailboat. Wind power is pretty awesome. If Beached is anything like Knockdown I’m sure I’ll love it. This book sounds like a great adventure for all age levels. Can’t wait to snuggle up with it on a rainy day. I love the sound of this book! Cant wait to read! Sounds great! I look forward to reading. Natural disasters can be incredibly scary. Luckily I’ve never experienced one to the extent I wrote about. You are welcome. Sorry for the late reply.